Is your Password Safe And Strong ? 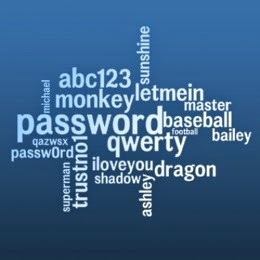 Your password should never be the name a person, place or thing that is familiar to you or can be associated with you. Even by adding numbers to it, most people still choose numbers that mean something to them, like a birthdate, address, or phone number. The best passwords make no sense. Alternate -- using random numbers, letters and symbols with upper and lower case. Write them down and change them often, at least once every three to six months or when you see suspicious activity on your accounts. If you ever hear news reports that a certain company's database has been hacked or they leaked email address/account numbers, and you have an account there, change your password immediately. If you get suspicious emails stating that you have to update your account information, do not click. If the email contains any personal information about you, change your password by going putting the URL into a separate browser window/tab, and take care of it from there. Don't click any links in emails because they will most likely re-direct you to a bogus site (clone) that looks like the company, but it is not. Passwords are your one single line of defense against internet predators trying to get your information. Deter a password thief today. Go long. The result will tell you how long it will take someone with a Desktop PC to crack your password. However, because I'm suggesting this as an educational tool for you to see how good your passwords are, I do not recommend using the Password Manager Form that is also offered on that page. I prefer you to do it long hand, in a small notebook from the dollar store, and keep it safely in your house, not online. 1st is the landing screen for you to enter each of your passwords one by one. 2nd is a screen shot of my results. The 3rd screen shot shows what you will see when you unhide the results to see the number of possible combinations. You want to see VERY HIGH numbers on that part.